Millwood Print Works was founded by local printing experts Derek Landers (left), Thom Caraway and Bethany Taylor (not pictured). On a Friday in July, the 70-year-old building parallel with the train tracks is hot and slightly musty. 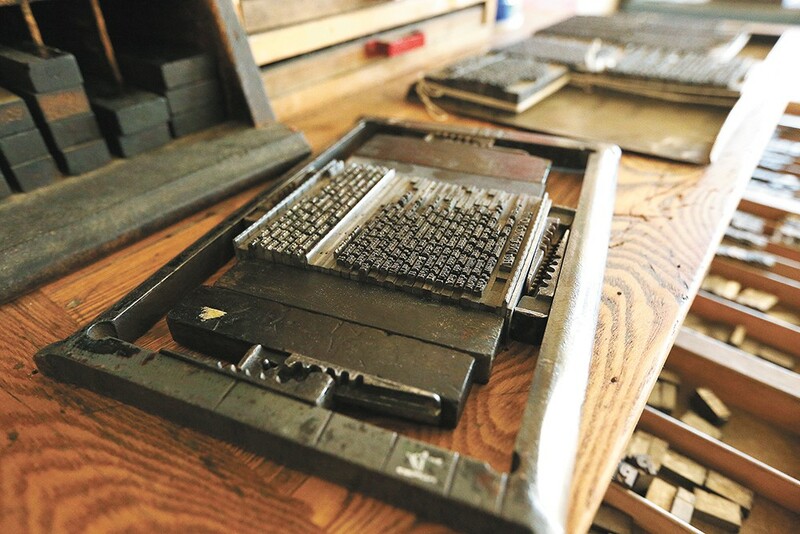 Mixed with that familiar, dusty-dry smell of an old place is the faint tinge of paper and ink, but all three of the hand-operated platen presses lining one wall — two are more than a century old — are quiet this day. Soon, the rhythmic clank and clatter of iron gears grinding will echo off the walls, as the antique printing machinery cranks through its repetitive motions. Ideas have long been brewing for the new community nonprofit called Millwood Print Works, which is on the cusp of opening its doors to the public for classes on letterpress printing and silkscreening, and to serve as a community art space where both budding and experienced printers can practice their craft. "Both of us have been wanting for a long time to get this off the ground," says Millwood Print Works co-founder Derek Landers, a local designer and serigrapher (silkscreen printer) whose past projects include posters for bands like Wilco and Pearl Jam. 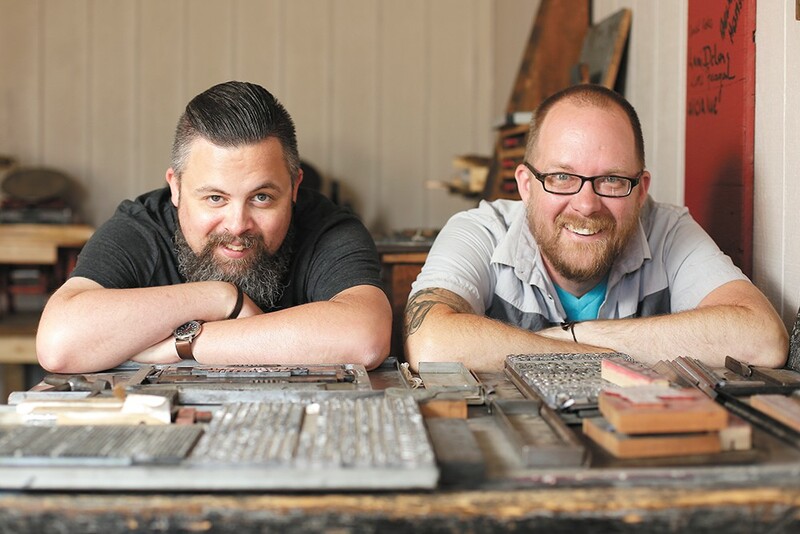 Landers is referring to one of Millwood's other two co-founders sitting next to him — poet and Whitworth University English professor Thom Caraway, whose interest lies mainly in the area of traditional letterpress printing and bookmaking. Back when Landers was designing those band posters — and still today — there weren't any local print shops devoting the time or space required to manually screenprint posters. The craft made outdated by technology, however, is one that many artists have more recently become interested in as part of the broader cultural shift back to artisan processes and techniques. With few exceptions among local artists with access to a designated space for such processes, those looking to learn the art of screen or letterpress printing are left to their own devices. "When this opportunity came up, it became not only do I have a place to do it, but I can make a space for people who are in the same boat — who don't have equipment, space or experience," Landers says. "It's a learning space for everyone, even the three of us. We'll learn from people who come to do guest workshops." In the same vein, Caraway — who co-runs the small local press Sage Hill, for which he selects and designs small books and collections — hasn't been able to print his books or other projects locally in the traditional, handmade method he desires. "I want to do small books and handset the type and do the majority of printing and binding and trimming all here," Caraway explains. "That's what I've always wanted to do." Millwood Print Works' final member is Bethany Taylor, an artist and expert in the field of letterpress techniques who moved to Spokane from Nashville about two years ago. Taylor, who previously worked at the famous Hatch Show Print poster shop in Nashville, runs her own print shop Interpunct Press out of her home. 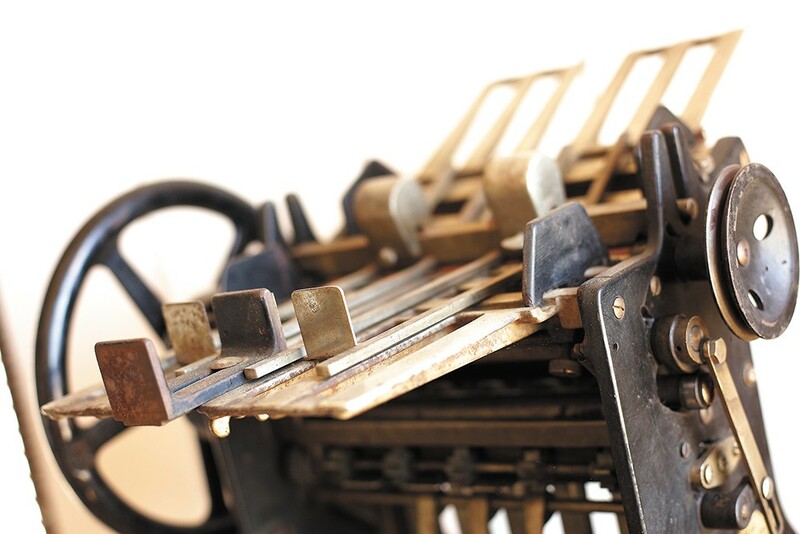 Taylor is the shop's main resource on letterpress operation, machinery maintenance and printing instruction. W hile Millwood Print Works has procured most of the necessary equipment — many thanks to community donations — such as ink, moveable typefaces, storage cabinets, some furniture and its presses for little to no cost, it'll be a bit longer until the space opens up for classes and membership studio hours. This week, the nonprofit wraps a successful Kickstarter campaign, which has significantly surpassed a goal of raising $5,000 to purchase supplies, like paper, and other necessities, like an air conditioner, before the official launch. As of this writing, more than $9,000 had been pledged. The campaign officially ends on Friday, July 21 at 1:30 am, and a campaign-closing party is set for this Thursday, July 20, for those interested in touring the print shop and making a last-minute contribution. Millwood was also the recipient of a $7,500 Spokane Arts Grant Award. Thanks to a rent-free agreement with its building owner, Millwood Presbyterian Church, the nonprofit is currently only responsible for its utility bill; its three founders are all volunteering their time and expertise. Letterpress and screenprinting classes at Millwood Print Works should launch sometime later this year. As time progresses, its founding trio anticipates seeing artist collaborations, partnerships with local groups and other creative endeavors organically arise as word about the project travels. "Education and access are the things we say most often as far as our mission goes — teach them how to use it and give them a space to use it," Caraway says. "But also the third part is building community... I want to walk in here with people who are super creative and passionate about process-based art collaborating. It's a space [where] people can not only just learn, but learn from each other." Classes at Millwood, priced at $225, are set to meet once a week for four weeks. One-day workshops focused on completing a single project are also planned, and members will be able to use the space and its equipment during open weekly studio hours for $225 annually, or $35 a month, materials included.